Right after the wedding ceremony, couples are normally excited for the most thrilling part of newly-weds, that is, honeymoon! This is the time that they get to know each other better, deeper, and more intimate. Every in love couple deserves a wonderful and romantic honeymoon treat. Do you agree? The world is full of beautiful spots where we can spend romantic and intimate moments with our darling. But have you ever considered India when you think of vacation ideas? Well, I’ve got some of the best and most romantic places for honeymoon in India. Look at the list below. Goa: This place is perfect for honeymoon destination with the sun, sea, sand, and a plenty of activities. The honeymoon here ensures stimulation of a special bond between lovers and couples. It’s a great destination all year round. It works magic on your marriage. 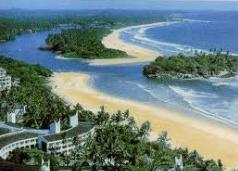 See the photo of Goa in India above left. Ooty: It is the queen of southern hills and one of the best romantic places in India. You will be inspired to make memorable moments with the hills and lush vegetation. 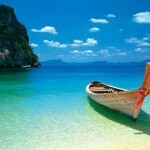 Andaman and Nicobar Islands: Couples can enjoy moments together in this place so close to nature. Andaman and Nicobar is a group of 572 emerald island islets. The islands are the most beautiful beach destinations in India. Kerala: It is now popular as backwaters and honeymoon destination. It offers amazing beaches, natural beauty, and delicious food. Kullu Manali: It is an ancient town surrounded by peaks and it is near the snowline. It is not just for honeymooners but it is also one of the top sites for campers, trekkers, and sport enthusiasts. Experience also the attractions and fun of the city life, food, and culture in the cities of Hyderabad and Mumbai to complete your Indian vacation. Try the bungalows converted into guest houses instead of staying in hotels while you stay in India. You’ll have maximum fun at affordable prices!